It’s always feast or famine in the ol’ pepper patch here at Old Depot Farm (that’s our place). Either we have more peppers than we know what to do with, or we don’t get enough to even make our year’s supply of salsa, boo-hoo. Last year was a lean pepper year for us, although I don’t remember why. I failed at peppers, in any case. I suspect weeds were a player. Or possibly lack of attention, or both. We ate a few peppers during the summer, and I had enough jalapenos for a couple batches of salsa, but I didn’t have a single one to put into the freezer. And then my friend Anne shared with me how she flash-freezes bell peppers strips, and what an unmitigated blessing it was to have several bags of them in the freezer–she just went on and on and on about it–and then–gosh!–I really regretted not paying more attention to the pepper patch. Man. I thought about Anne’s freezer full of beautiful home-grown pepper strips every time I purchased the pricey colored peppers at the grocery store last winter. Every. Stinkin’. Time. And I didn’t forget Anne’s sweet boasting early this spring when I was planting my pepper plants in trays in the house, either. Also I recalled it when I planted my pepper plants (dozens of them, no kidding) in the most valuable real estate on our place (gardening-wise), my hoop house. I took a full bed (there are only four long beds) and planted it full of peppers. So there, empty-of-peppers-freezer. Take that. I planted so many that I ran out of pepper cages. By gum. I wasn’t going to run out of peppers this year, no sirreebob! Sound familiar? That’s kinda how I got started with my crazy heirloom tomato obsession. 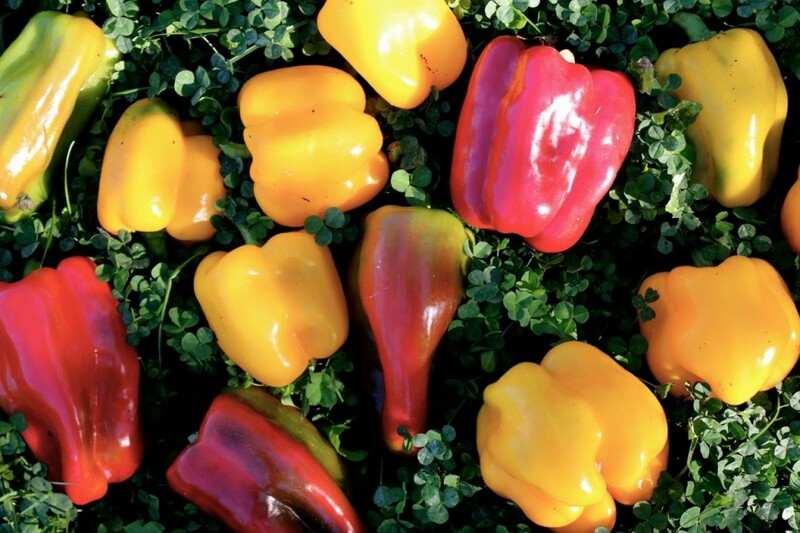 Those beautiful red and yellow and orange peppers in the store don’t come cheap, after all, during the winter months. And when they hit $2.00 apiece is precisely when we can’t do without a big sloppy colorful mess of pepper steak, of course. You can’t possibly make the best pepper steak with the plain ole’ green (and cheaper) bell peppers. You simply must have the colored peppers for it. Don’t you agree? But the first frost date is inching closer and closer, you know, and the pepper plants (along with my beautiful basil bed) are always among the first crops to succumb to frost. Time to get busy on this, Gentle Reader, if you have pepper plants loaded with jewels. They are so good cut up into strips and eaten raw, too. I didn’t plant only bell peppers, oh no. I also planted a couple kinds of habaneros (a peach and a lime-colored one); the (reportedly) hottest pepper in the world–the Carolina Reaper (thanks Pete, now what do I do? I’m a little afraid of them! ); some darling and colorful little salad peppers; and lots of jalapenos. In fact, after I planted three-quarters of a hoop house bed with nothing but peppers, my friend Gene offered me a few more pepper plants, and I took them, without even thinking. More peppers–sure! Why not? By some quirk of garden fate, (and my mindful care, too, might have had something to do with it) this year every stinkin’ one of these pepper plants has done amazingly well. Probably mainly due to the fact that I planted them in my hoop house. Peppers do like it hot. 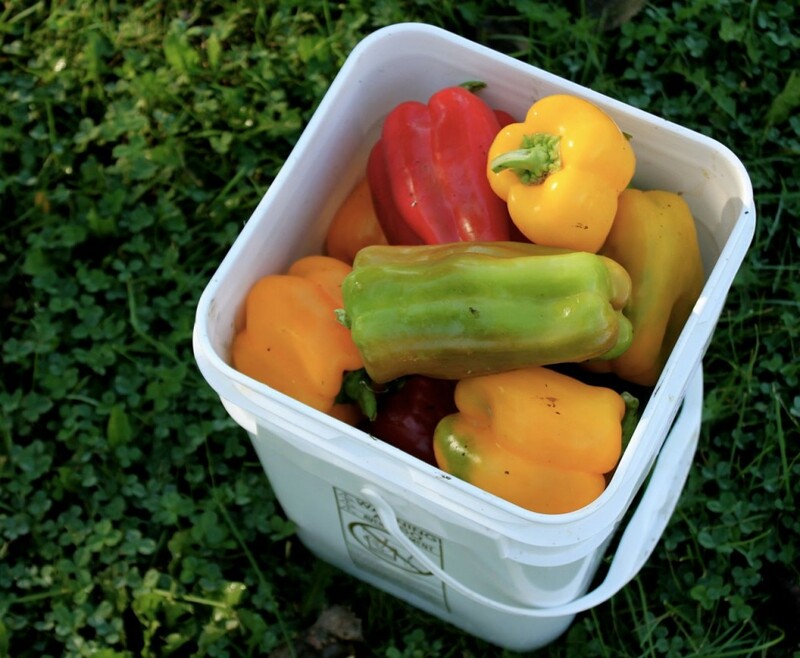 So we’ve been picking peppers and chopping them up in our scrambled eggs, stir-fries, salads, and the like, but there are more out there than we’ll be able to use before the weather turns chilly and freezes my gardens. So I’m a bit giddy this fall that I’ll actually have enough to freeze for winter meals: for the first time ever! The bell peppers, that is. I have other plans for the hot ones. 🙂 Don’t worry, I’ll share that with you in the next week or two. 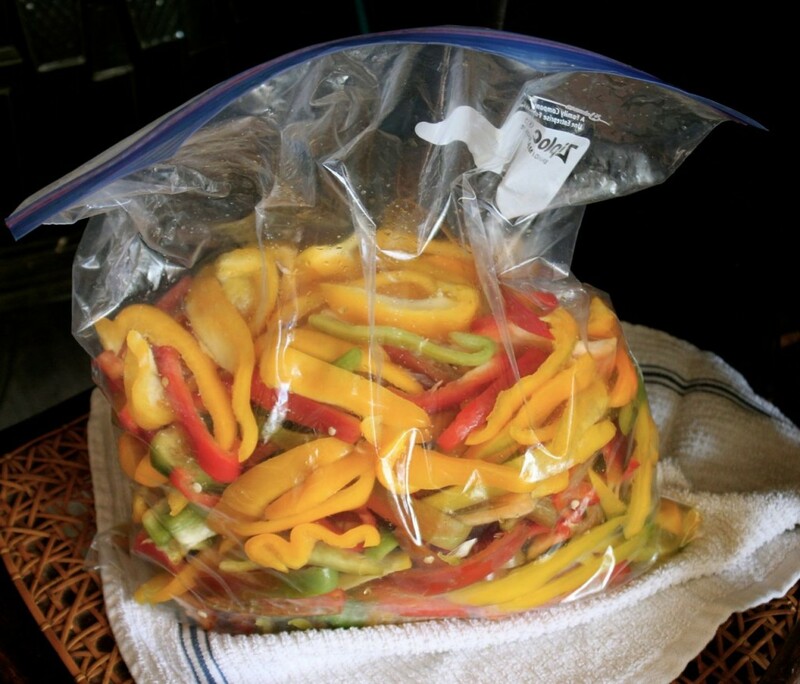 What a happy thing that it’s so simple to freeze peppers! They don’t have to be blanched, like many vegetables, to retain their color and crunchiness. 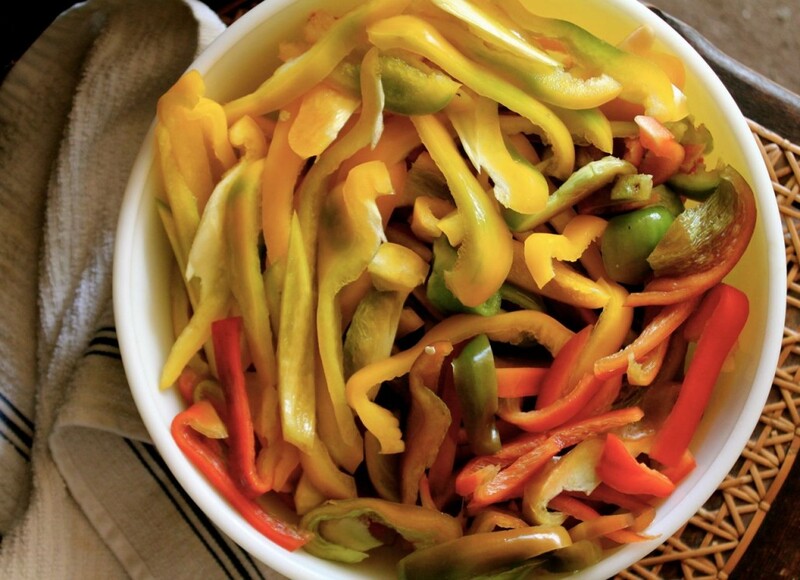 And there are simple directions on the web for how to do this quickly and easily: you just wash the peppers, and then cut them into strips, lay then on pans in a single layer and freeze for an hour or two, then bag them up in freezer bags. But hold on there. I’m assuming that the freezing-on-the-pan step is to keep the strips from freezing into one big clump in the bag. I’m going to blow your mind here. I’ve discovered the easiest way ever to freeze pepper strips. And it works just as well as the “freeze in a single layer first” way. Honest. 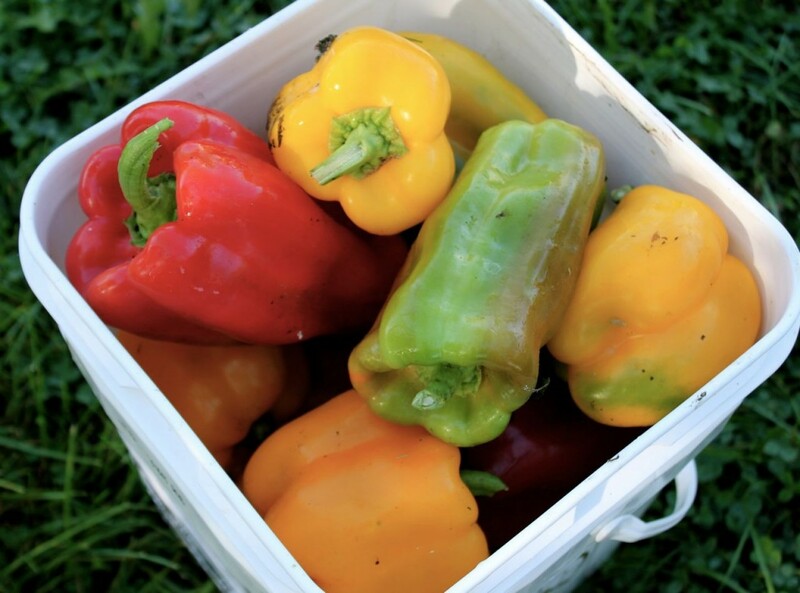 First frost is coming: Easiest Way Ever to freeze bell pepper strips: honest! All those trips up and down the stairs to our chest freezer and back, with the cookie sheets, is where I draw the line. My bratty knee doesn’t like all the steps, and it’s always kind of a pain to find the space in the chest freezer for jelly-roll pans, so I experimented with just tossing the strips in a big freezer bag, chunking them into the freezer, just to see what would happen. Best. Experiment. Ever. The strips did freeze in a clump, but a quick shake of the bag, and they come apart like magic, and the result is the same: you’ve got a bag of frozen pepper strips and you can shake out just a few, or a lot, to use. Then cut them into strips, of course trimming off any bad spots and dumping them with the cores and seeds into your compost or chicken bucket. Happy chickens make for a happy farm, right? Happy chickens make for a happy farm! Next, load the strips loosely into freezer bags, and freeze. Be sure to squeeze the air out before you chunk these into the freezer. And freeze them flat. When you pull the freezer bag out, give it a shake and the strips will loosen from each other. You can shake out as many or as few as you need, popping the bag back into the freezer. 🙂 Brilliant, eh? I think this was my friend Anne’s innovation, so I’ll give the credit to her. No fair throwing money at me for this idea. But isn’t it cool? So put your pans away and get those peppers into the freezer! This is one preserving task that will honestly take you only minutes. Gentle Readers. Don’t you love harvest season? Isn’t this a beautiful life? 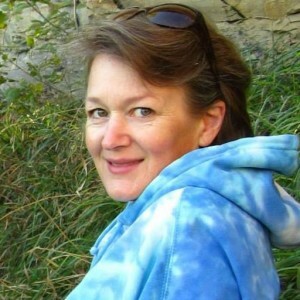 ← Clueless Blogger Series: How to set up a mailing list with Mailchimp: “ain’t so bad”! 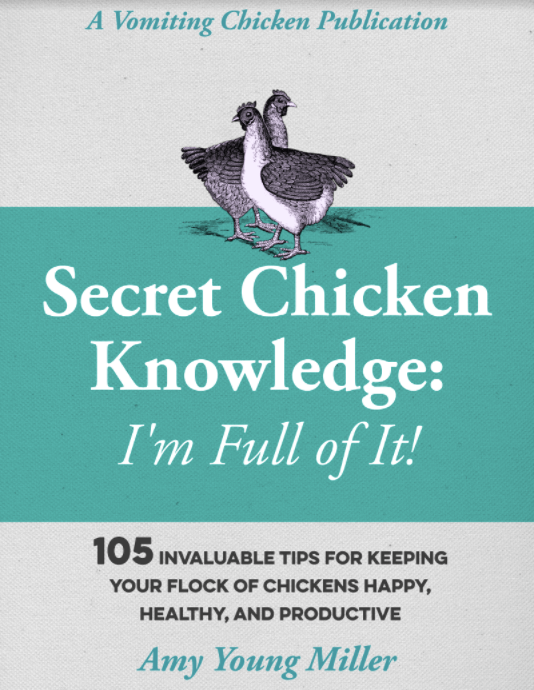 Great information that I will use as soon as I can find some space in the freezer. My lovely wife always uses every square inch of the freezer to freeze mango’s. I did hate the price of the colored bell’s when we lived in the states. Here in Mexico, anything that grows in heat and sun can be raised almost all year. We are going to the farmers market this Sunday and I will be grabbing a few bells. I like them in omelets along with garden fresh broccoli. Actually, I wouldn’t need to freeze them but to visit the farmers markets here, it involves getting there about 6 a.m. and getting your shopping done before sunrise because for the first couple of hours after daybreak, the area is loaded with mosquitoes. My big challenge this growing season is to find some hairloom tomatoes to add to my garden. Down here there is not much choice available when it comes to tomatoes. One that looks like “early girl” and an Italian plum, with most Mexicans using only Italian plum…In my cooking classes I hope to introduce them to the taste of a few different tomatoes. Freezing mangos! That only happens in my dreams, here in Nebraska! I’ll trade you some frozen bell peppers for frozen mangos, Chef! Oh, how pretty! They are so bright, and cheerful-looking. Our family has found that chopping up peppers and onions together and then frying them are scrumptious. Alas, we decided to plant a huge crop this year as well, but we just ate our whole crop yesterday of five peppers. 🙂 We`ll have to figure out something different for next year. Dearie, bring your mama over and I’ll give you some of mine! Yes, you are so right! That is how I freeze mine as well. I do dice (big) a bag of peppers as well for different dishes. I just pulled out some peppers from last year to make sausage and peppers and they had ice on them. All you do is rinse them under water (to get ice off) and put them on a towel (or paper towel) to pat and they are good to go! Just throw them in the pan or stews/soups! One yr, my peppers didn’t happen so I went to the market and bought some when they were at there best price and froze them. Those peppers of yours are beautiful!! Mine have come back since it has gotten cooler but nothing like yours! Rose, I was going to dice some for the freezer, too, and also I love the idea of grilling them and then cutting them up, for that smoky grilled flavor. Have you ever done that? Yes, I have…I do put them (grilled) on a sheet tray and flash freeze though. I was thinkin’ of putting them in the blender after grilling (red peppers), freeze flat in ziplocs and breaking off pieces to add to winter soups, sauces etc. Maybe next year. I also grow Pablanos and I will grill and freeze them whole for recipes (no flash freeze, flatten), two at a time (bags inside of a freezer bag), if that makes since. Good for chili’s, salsa etc. Time to start your winter garden up there, I’m sure. Already have all of mine in as I’m way ahead of you climate wise. Rose, as luck would have it, we’ve got the nicest fall going on up here, and I didn’t plant a fall garden! But I’m planning to amend my ways and plant some kale and lettuce and radishes right now in my hoop house. It might just make it! LOVE this post!!! We, too, are overrun with bell peppers this year. Thank you so much for this post. Love your blog! Thank you Nancy! Must be a great year for bell peppers! Glad to hear that you got some reapers to harvest! I do quite well raising peppers and I have cut them into strips, placed on the cookie sheet then used the vacuum sealer with great success. This year I cut them into small pieces so that they are ready to place into whatever we decide to use them in. This beats trying to cut the strips up and cutting them when they thaw out and are mushy. As for the Reapers, my rheumatologist cuts them into small pieces and fries them with her eggs for breakfast. I personally hang them up to dry out and when they are ready, we use a ninja to chop them up into a powder. Be forewarned, the smell and dust of the chopping process WILL make your eyes water and burn your nose! This is the only way that I can foresee keeping them for the long term, just adding the powder to chili, spaghetti, salsa, poppers or even hot wings are good uses for them. When we use them, we start with a small amount of powder then add more as needed. I have frozen some as well using the vacuum sealer, but my powder supply has negated the need for the frozen peppers. I hope this will give you an insight as to what I use them for. Oh BTW, the man who created this pepper is creating one that is twice as hot as the Reaper! Oh my goodness, twice as hot, I can’t even imagine that, Pete. It’s so nice to hear from you, and thanks for my bald request for info. Since you are the HOT PEPPER MAN, I’m going to follow your lead and dry and chop those bad boys up into powder. And share them with my sons who love the hot stuff! Just to let you know, the new peppers heat doesn’t hit you til about 15 seconds afterwards, thus giving you the chance to actually taste the pepper!